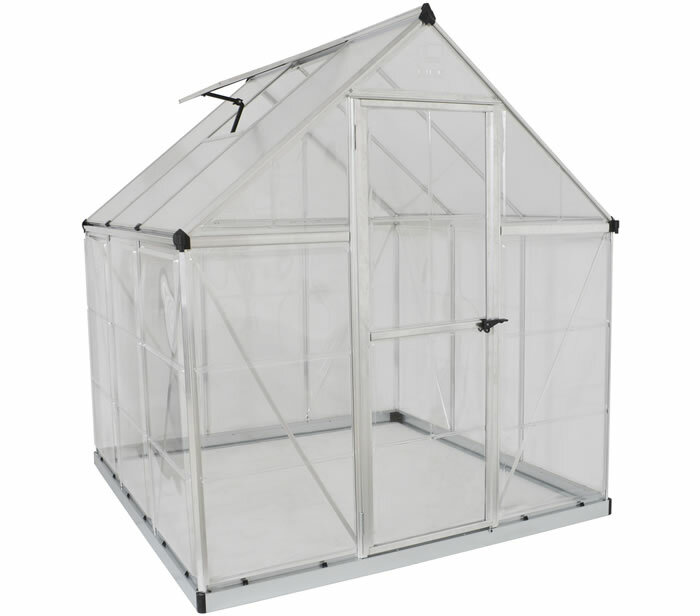 We carry Arrow, DuraMax, Handy Home and Palram brand outdoor garden greenhouses. 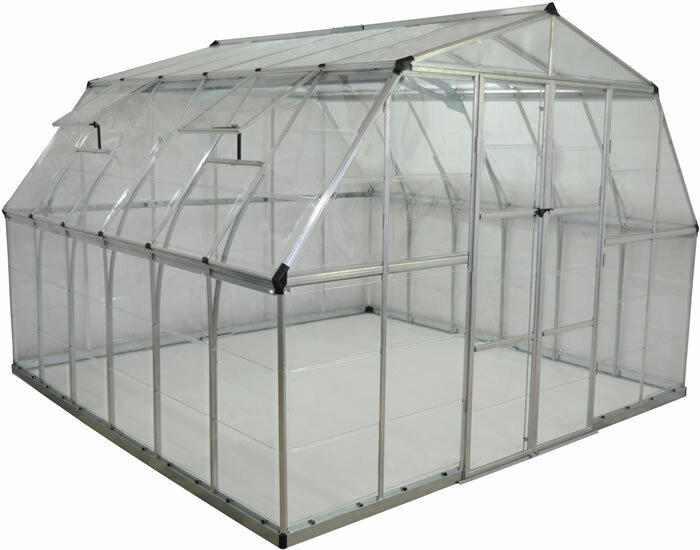 Our metal greenhouses from Arrow and DuraMax come in a wide variety of sizes. 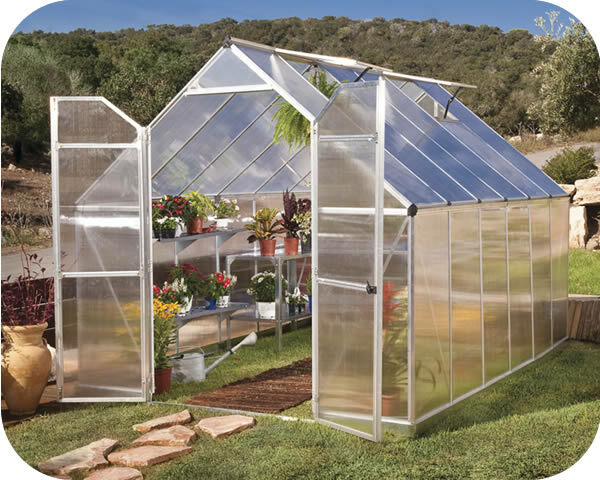 These greenhouse buildings are built tough with metal reinforced wall columns. 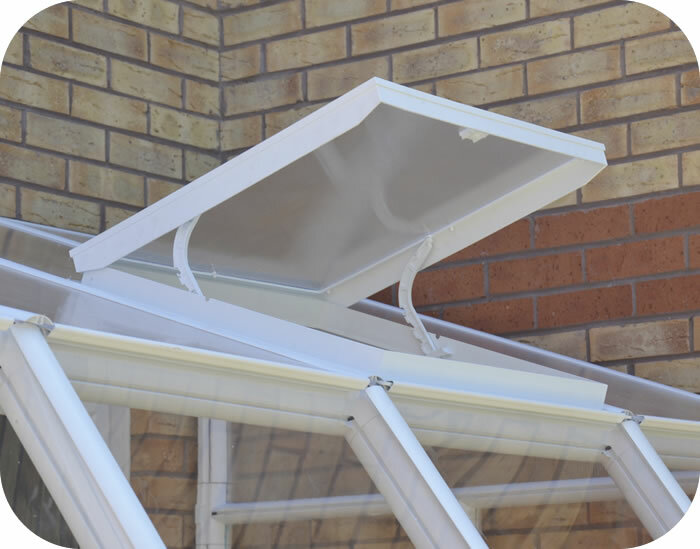 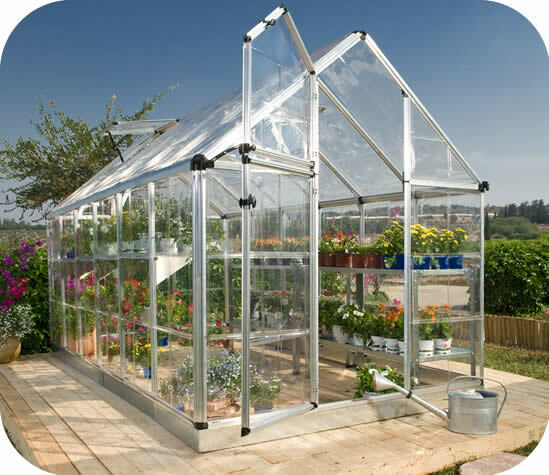 Our greenhouses are well vented for air circulation and let in plenty of sunlight to provide a safe and beautiful housing solution for your garden plants. 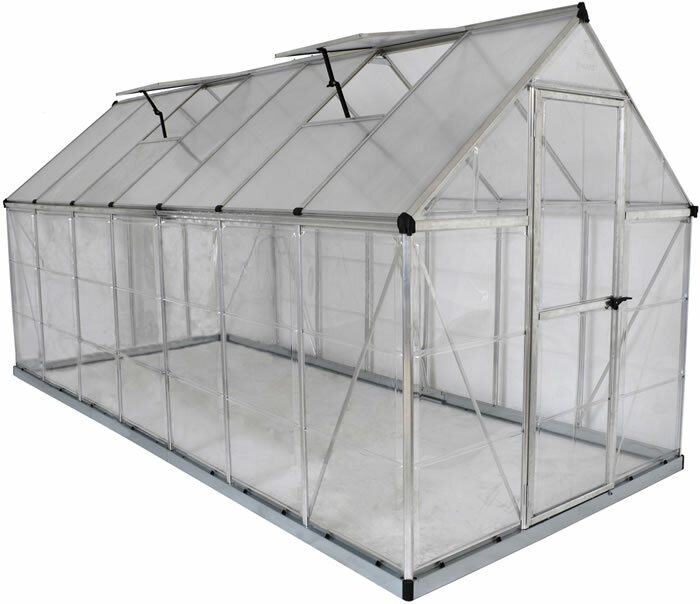 All of our Arrow and DuraMax greenhouses come with a 10 or 12 year warranty and Free Shipping! 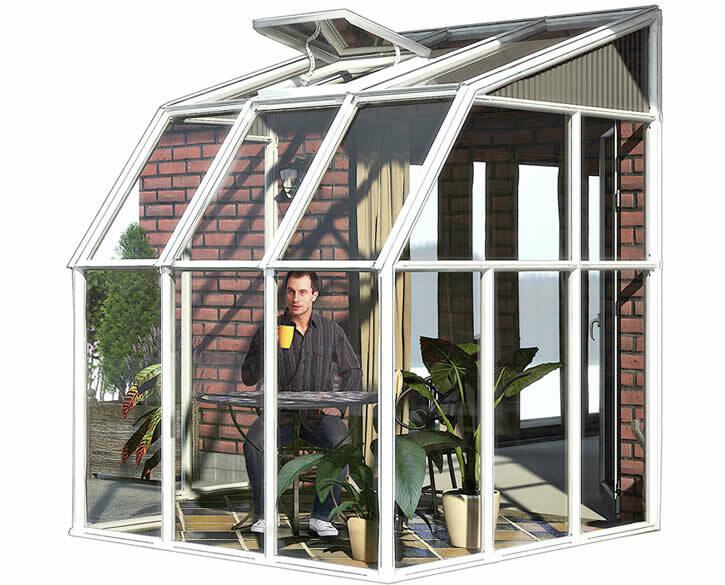 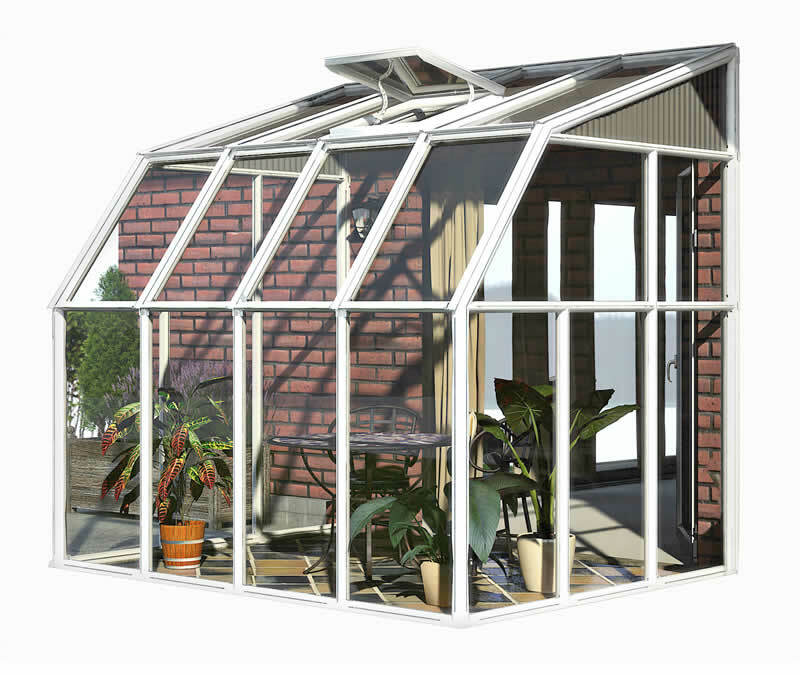 New to our line of greenhouses, please view our Phoenix Solar Shed from Handy Home Products! 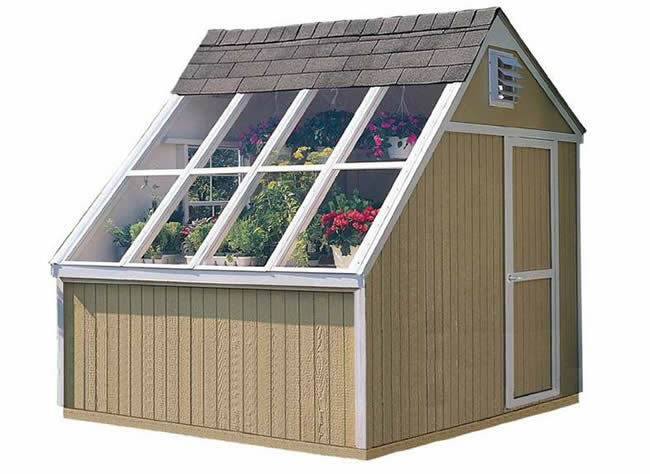 Also view our Arrow storage sheds, DuraMax vinyl storage sheds and Handy Home wood sheds categories. 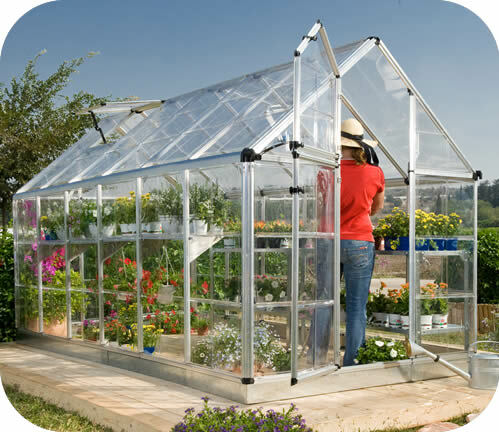 If you have questions about our greenhouses please contact us and we will do our best to assist you! 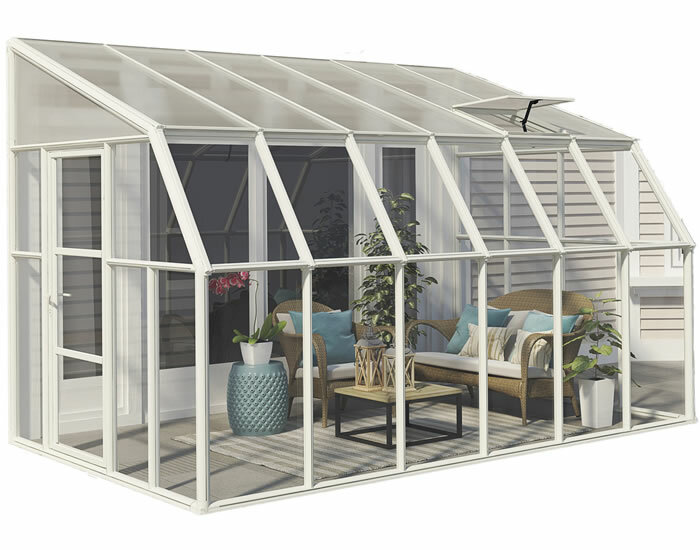 Increase the air circulation in your Rion Sun Room 2 with an additional air vent. 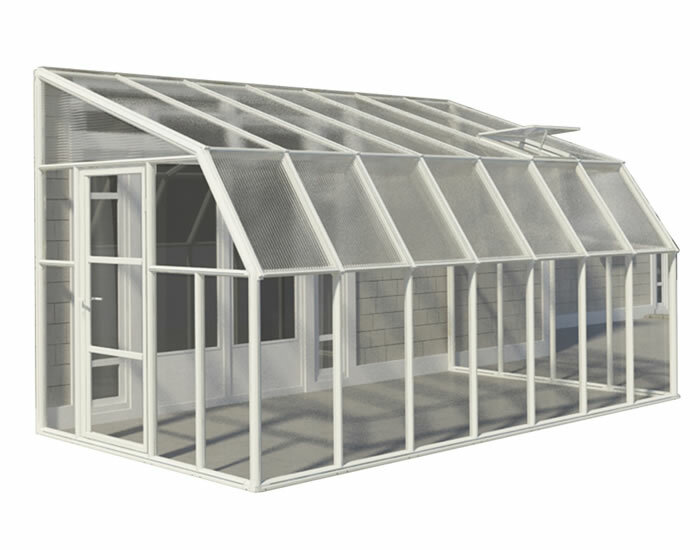 Add one vent per sunroom section to maximize air flow. 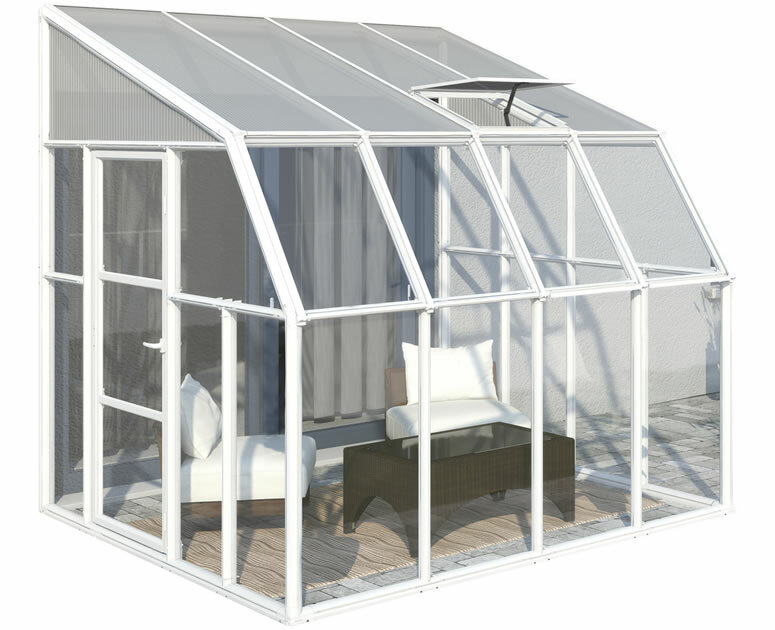 New from Palram, introducing our Chalet 12' x 10' Aluminum / polycarbonate greenhouse. 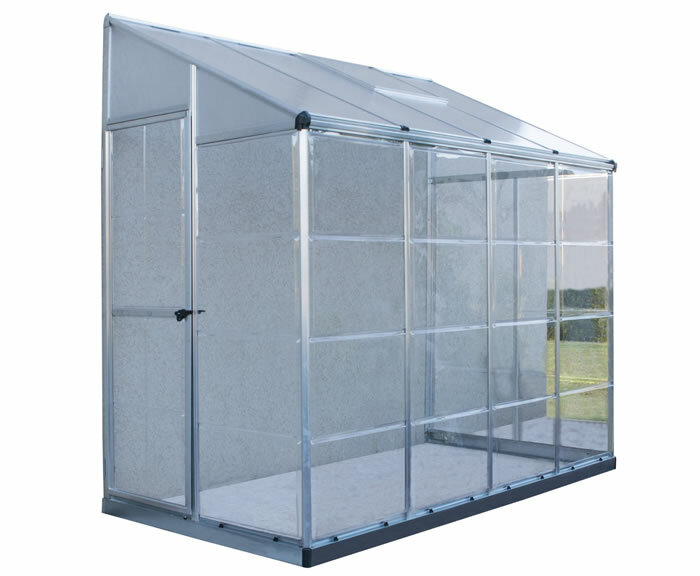 Over 8' headroom, 2 vents and 112 sq ft of storage! 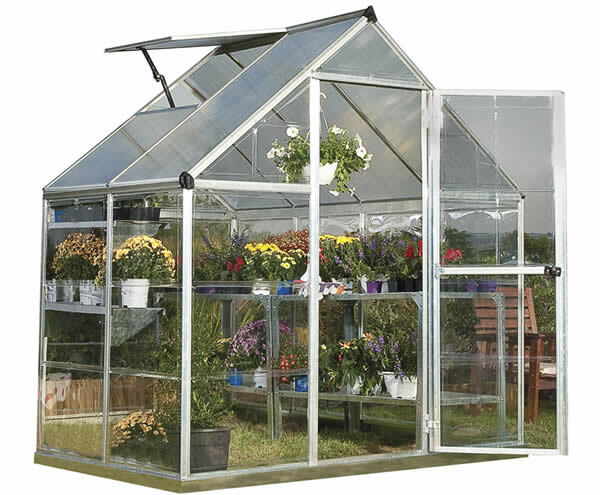 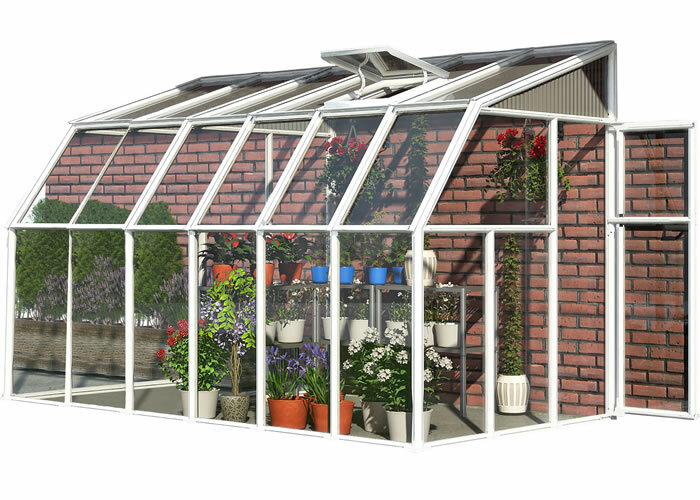 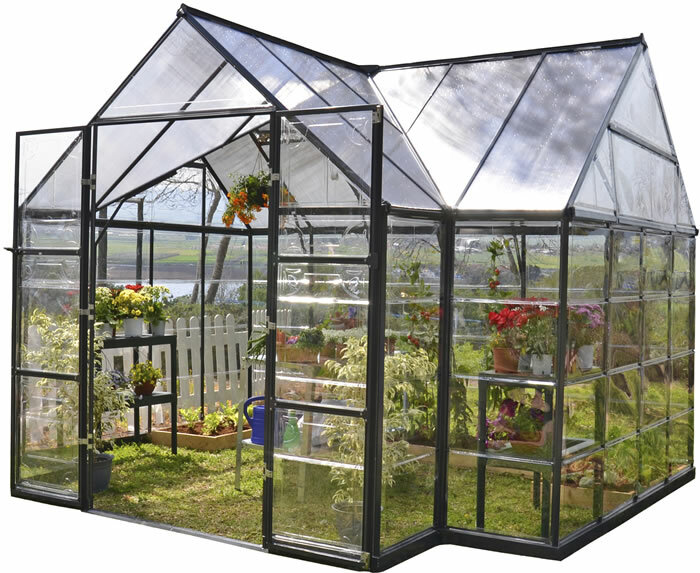 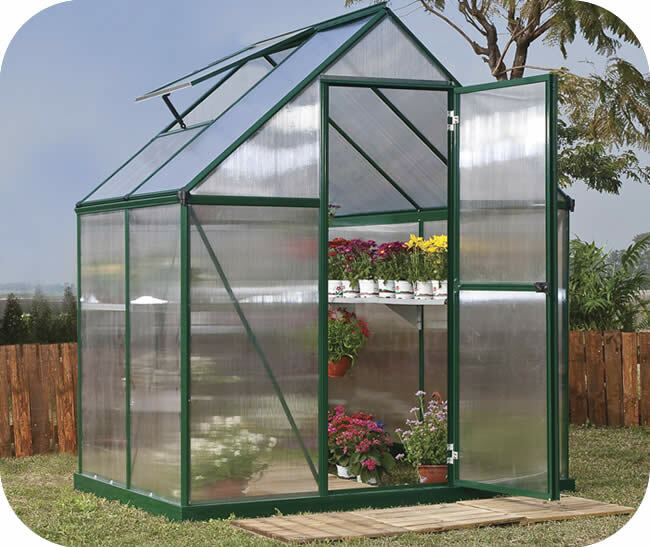 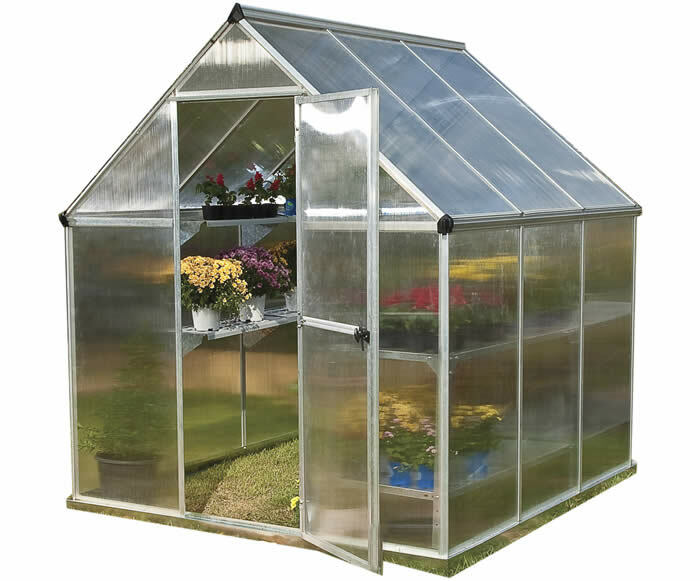 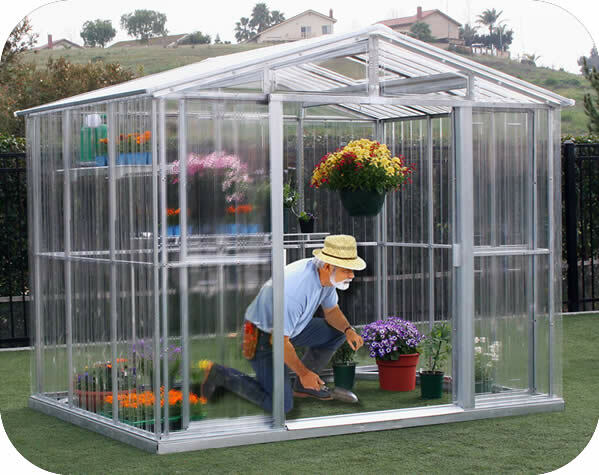 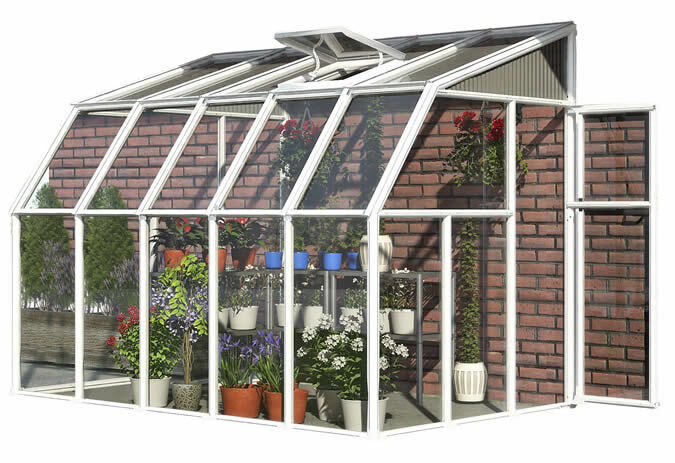 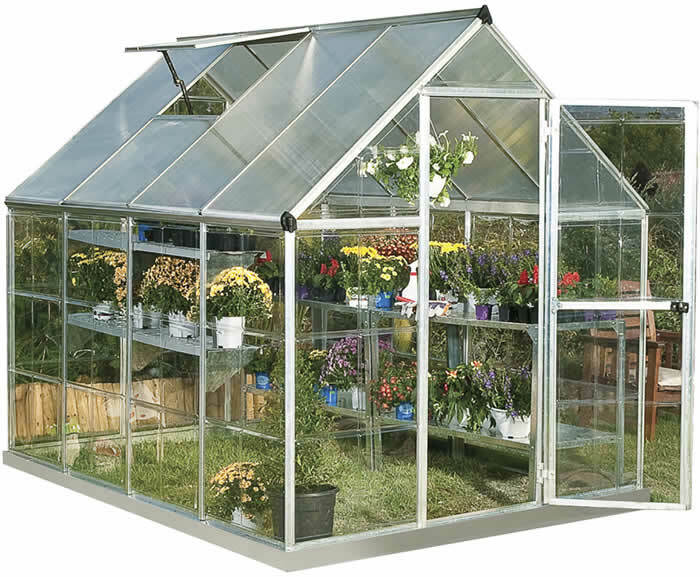 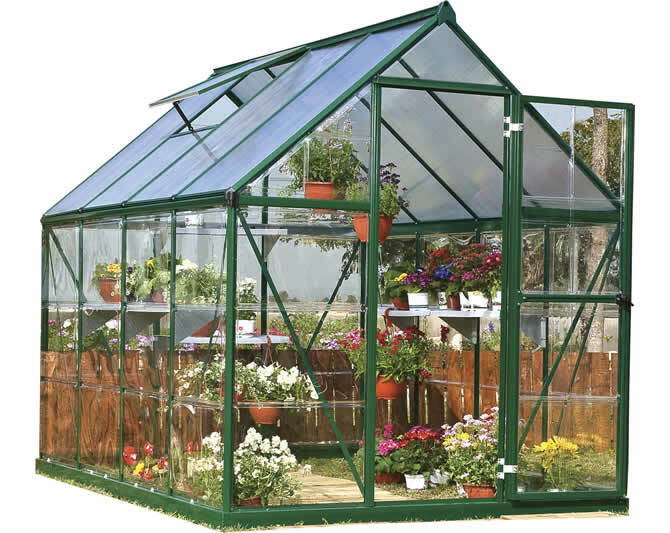 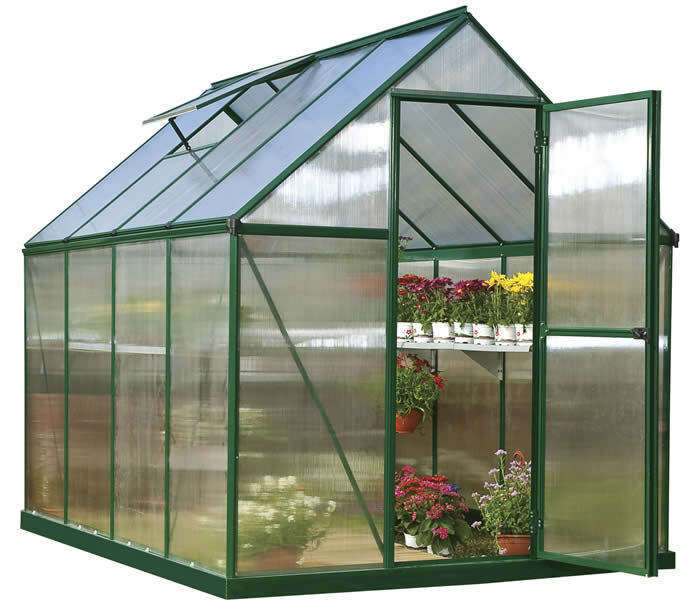 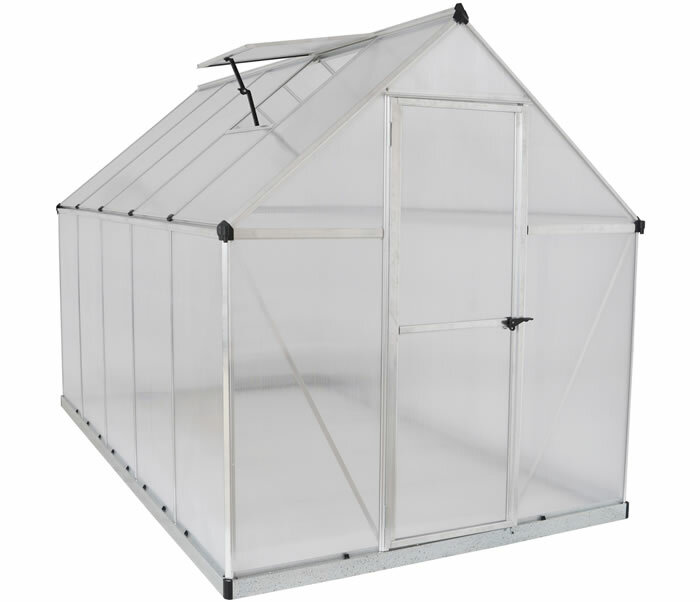 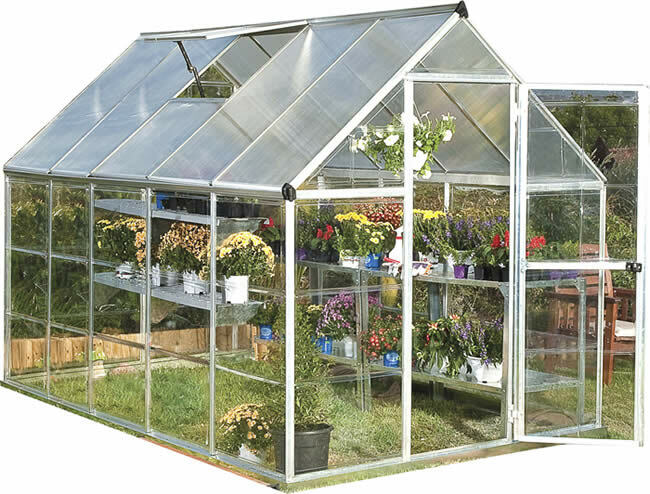 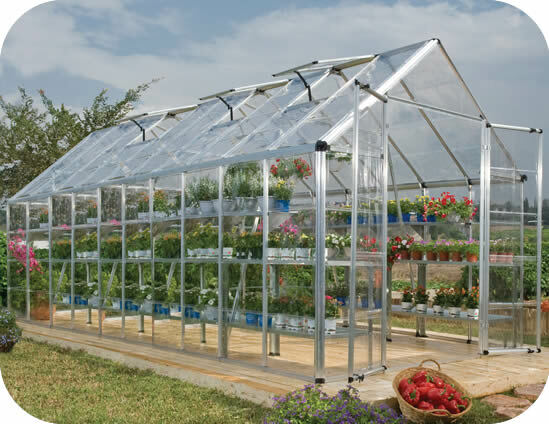 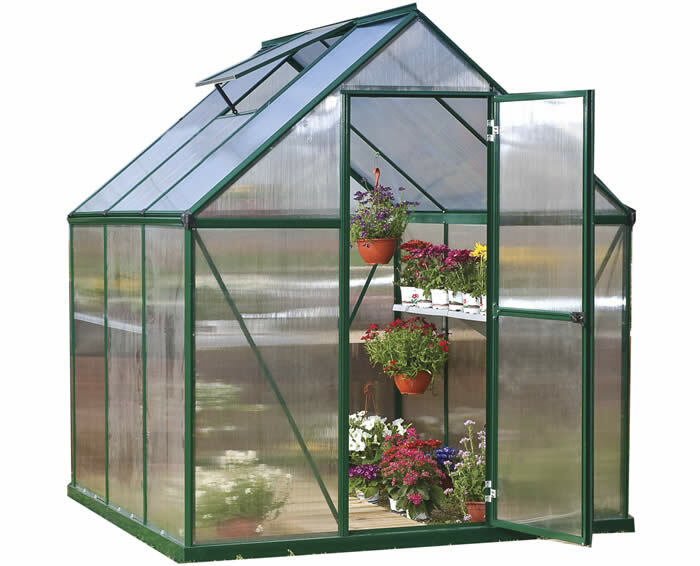 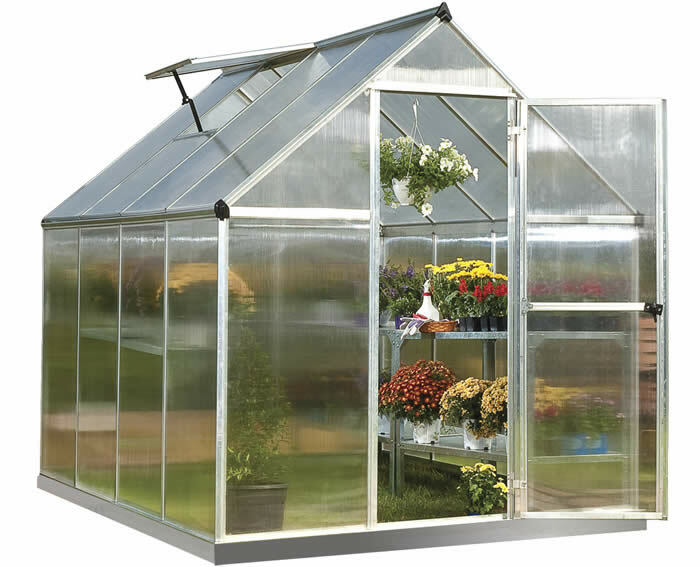 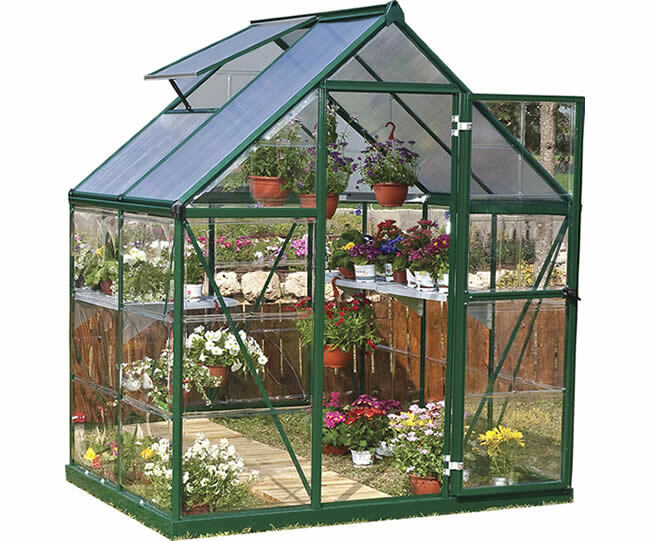 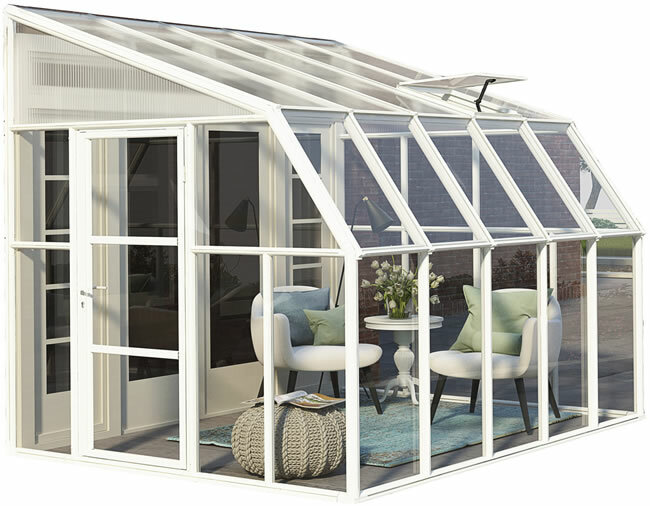 The Snap & Grow 8x20 Silver Hobby Greenhouse model HG8020 features the SmartLock connector system and heavy duty aluminum frame.